Welcome to the website of the Fort Purbrook Amateur Radio Club - RSGB Affiliated. The Fort Purbrook ARC welcomes both amateur radio enthusiasts and short wave listeners (SWLs). We meet on the last Friday of each month at Fort Purbrook, off Portsdown Hill Road, Cosham, Portsmouth, Hants. PO6 1BJ. Fort Purbrook is managed by Peter Ashley Activity Centres, who provide a variety of activities for all ages, including air rifle shooting, archery and climbing. Adult membership costs £30 p.a. There is no joining fee. Concessions for young people. Please Note. All Club Members and Guests / Visitors are charged a £1 attendance fee which goes towards our hire costs here at Fort Purbrook. Hot refreshments are normally available, and at no additional charge. Up on the Fort roof above our meeting room, we have installed a 40m Band Inverted-Vee Dipole Antenna, plus a 2m/70cm 'White Stick' Vertical. From an RF perspective, the Fort roof, some 100m (330ft) ASL is a superb location. It has a visual line of sight panoramically from Chichester Cathedral in the East to Fawley oil refinery in the West. QSL Cards received from activating G3CNO. In the summer months, normally May through September, we set up the club marquee on the Fort ramparts and have club activity days operating field-day style. We call these our Field Weekends. Using this external set-up, and with temporary antennas, we put our club callsign on the air, and also occasionally get involved in contesting. 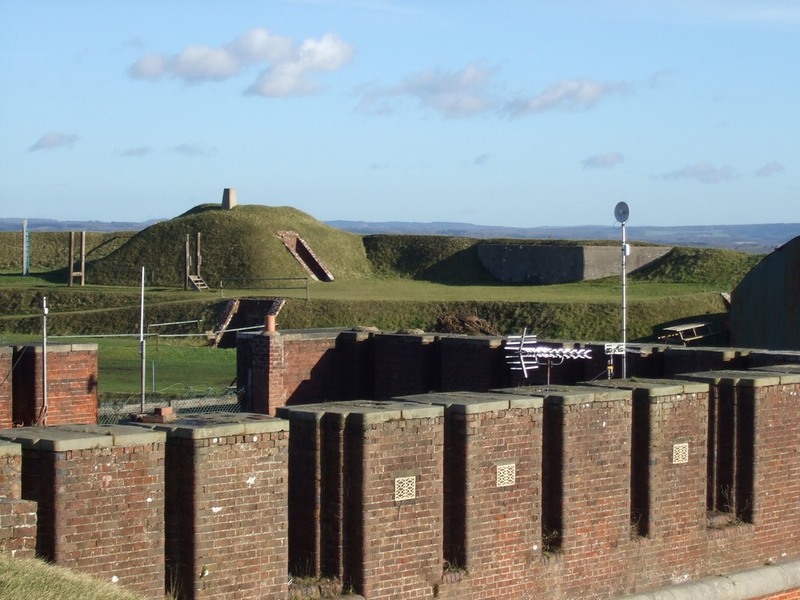 We also operate the call sign GB1PF - a Palmerston Forts Special Event Station, representing the many Palmerston Forts that surround the City of Portsmouth, of which Fort Purbrook is the most Easterly. 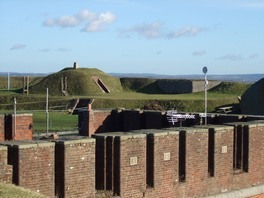 The location at Fort Purbrook has superb potential from an amateur radio perspective. We are an enthusiastic club and try to be as active as possible. For additional information, please navigate through our website, and if you are interested in becoming a club member, please see our Join the Club page. Alternatively, please contact one of the Club Officers.